Tokyo has been selected as a city to hold the 2020 Olympic Games. Since then, this international gigantic city has been drawing attention from all over the world. 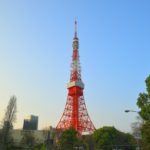 Tokyo is overflowing with innumerable sightseeing spots from the traditional Shinto shrines and Buddhist temples where you can feel the good olden times of Japan to the places where you can enjoy yourself and also do some shopping. 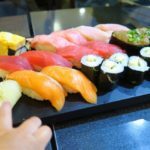 When you visit Tokyo on holiday, you want to know which places you should go to or which spots the popular ones are, don’t you? Well, here are the most specially selected places that you should visit. 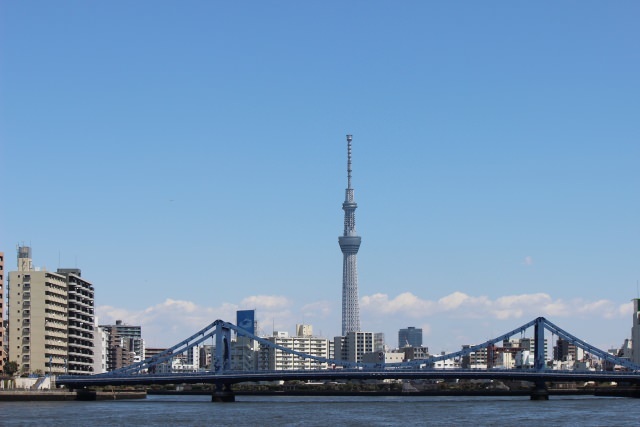 The spot which you can’t miss on your visit to Tokyo is its latest land mark, the “Tokyo Sky Tree”. The 634-meter-tall Tower has been known as the world’s tallest one as a freestanding transmission tower. Would you like to experience the height by actually going up there? 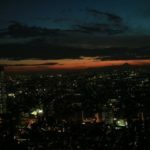 From the observation deck 350m above the ground and the observation circuit corridor 450m above the ground, you can see not only the entire Tokyo city but also clear across Mt. Fuji on a fine day. From the early evening until night, the Tower is full of the special romantic atmosphere which enthralls young couples. 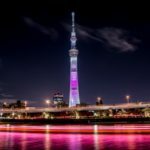 The Sumida Aquarium, the planetarium, the Tokyo Sky Tree Town, the Shopping Town, and the Tokyo Soramachi are closely attached to the Sky Tree. All those places are indoors, so a rainy day will not disturb your sightseeing. 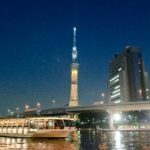 Asakusa is one of the most attractive sightseeing spots for foreign visitors for the attraction of its overflowing down-town charm. Among those spots, Sensoji Temple which has been famous as the oldest temple in Tokyo is bustling with visitors. In the grounds of the Temple, there are a lot of spots to see such as the five-storied pagoda which has been close to the hearts of people since the Edo-era (1603-1868) as one of the 4 pagodas and the non-stop incense burner which is effective for giving such sound health. The most noticeable architecture is the “Kaminarimon” at the entrance of the Sensoji Temple. The Red Lantern hanging down in the middle of the gate sure has presence and it’s a good photo spot. 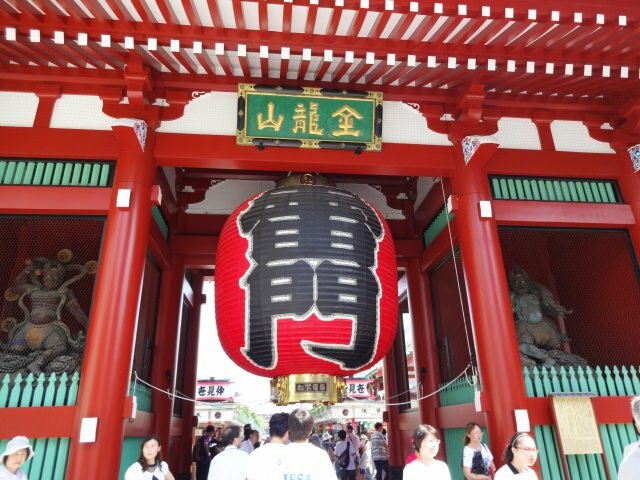 At the both sides of the Lantern, the powerful Fu-shin (the god of wind) and the Rai-shin (the god of thunder) are enshrined. It’s really impressive, isn’t it? After visiting around the Temple, it’s really lovely to stroll about the 250m front approach to the Temple, commonly called, “Nakamise-street”. 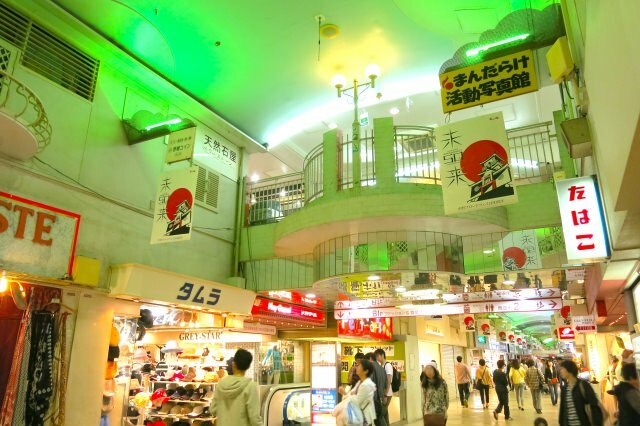 You can see various kinds of shops which must be very unique to you. You can stroll, eating a small snack and you can enjoy looking for your souvenir from the down-town, Asakusa! 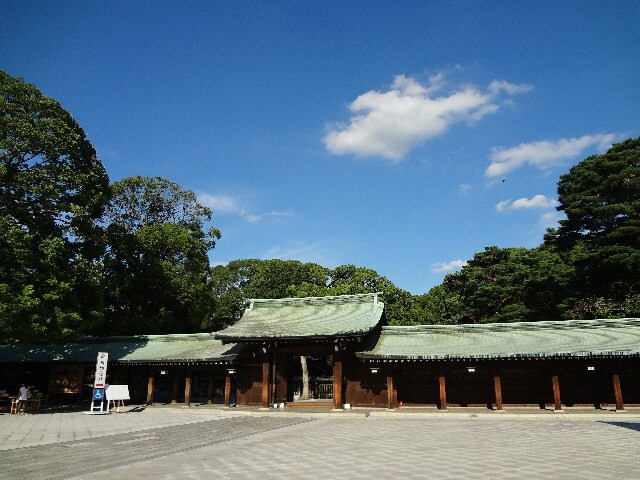 The Meiji Shrine is located in Harajku which is in the center of the city of Tokyo. It was built in the 9th year of the Taisho-era(1920) to enshrine the Emperor Meij and Empress dowager. The number of the worshippers on one’s first visit of the New Year is the most nationwide every year. In 2012, it was chosen as one of the “20 sightseeing spots in Japan with 3 stars” by the Michelin France Guide. Innumerable foreign visitors have come to this Shrine. Why don’t you be one of them? In the recent years, parts of the Shrine have been paid big attention. The Kiyomasanoido as a lucky spot, the Kameishi(a stone shaped tortoise) as a lucky charm and the Meotokusu (camphor tree) as a symbol for safety of one’s family and also match-making-marriage. 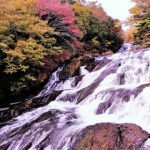 The Joban-no-mori was created by the 100,000 trees which had been donated throughout Japan and the biggest wooden O-torii (the large gate which stands at the start of the front approach to a Shinto shrine) are other spots to see. Besides, various events are held seasonally, such as the “Spring Festival” or “Sumo Grand Champion Ring Entering Ceremony”. Would you like to see huge Sumo wrestlers closely? Do you jog? 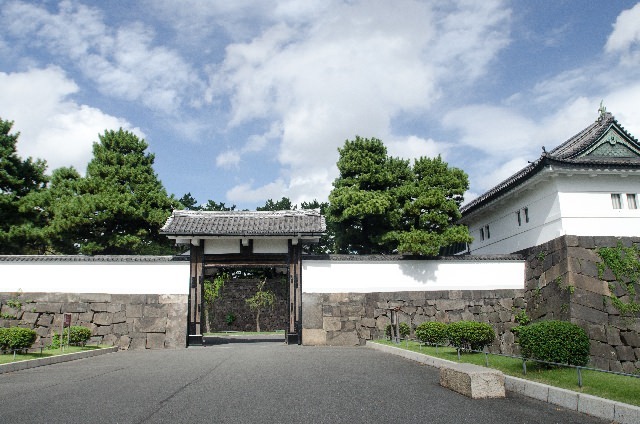 For people who enjoy jogging, the “Imperial Palace” is a very familiar spot. Our Emperor and Empress usually live in this residence. The Palace is surrounded by many trees and it is known as an oasis of the big city, Tokyo. Strolling around along the moat is very interesting and refreshing. You can come across a lot of joggers! Also, you can’t miss the “Palace eastern park” at one side of the Palace. The park was established on the former Edo Castle remains, the Hon-maru, Ni-no-maru and San-no-maru. So, you can see traces of the Edo Castle here and there. If you love history, you can’t wait to see the ruins of Matsu-no-roka (L-shaped corridor where a historical person was killed), the Ishiana which used to be used as a secret passage or the Fujimi-yagura(a turret). If you have enough time, viewing inside the Palace is highly recommended. However, you need to apply for the admission in advance. Don’t forget. In recent years, the “Nakano Broad Way “ near the JR Nakano station has been focusing as a sub-culture spot next to Akihabara. It is a commercial facility which has been very popular among foreign visitors who love the Otaku Culture such as animations or mangas. 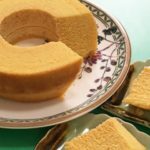 A long time ago, the building with the good olden times atmosphere of the Showa-era (1926-1989) used to be called the “Best building in Asia”. In the building, shops of various genre, such as the manga’s Mecca “Mandarake”, the figure-card, comics, toys, games and cosplay are all jostled together. 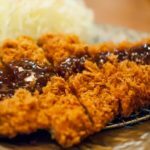 Besides, clothes, bags, miscellaneous goods, a drug-store and a ￥100-shop are lined up along with the delicious foods which can be tasted only here and are bursting with energy. Even if you are not familiar with the sub-culture, you can enjoy yourself there all day long, I’m sure. You will be amazed by the variety of shops! The Scramble Junction at the front of the Hachiko Exit at the JR Shibuya station leads prople to the Center of the town. The number of people who pass through this junction is 500,000 per day and the number of people who can cross it during one green traffic light is 3,000. It is the biggest class of junction in the world which always amazes foreign visitors. It is merely a junction, but it has become one of the sightseeing spots in Tokyo. How interesting it is! The scenery of about 3,000 people start crossing the junction at the same time is a really powerful sight. 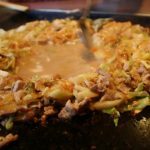 People who live in Tokyo may be accustomed to it, but it could be a big surprise and a discovery to people from any other area. 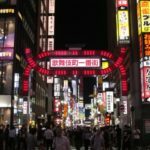 Around the Scramble Junction, there are shopping spots like “Shibuya Hikarie”, “Shibuya 109” or other major sightseeing spots as well as gourmet spots. I hope you’ll enjoy this very busy town, Shibuya! Odaiba is a popular sightseeing spot in Tokyo and the hot-spring facility in Odaiba is called “O-edo Onsen Monogatari”. When you enter the building, at first, there is a free Yukata (summer Kimono) rental-shop and you can change your clothes in to the Yukata. Then when you go one step inside, the surprising scenery is spread out in front of you. You definitely feel as if you were in the Edo-era. 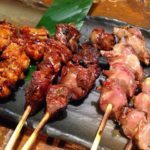 Among stalls and taverns, you can choose your favourite one to enjoy your meal or drinks. You can enjoy a shooting booth or stencils’ game at the stall. It provides the atmosphere of the good olden time festivals all the year around. And above all, the most attractive place is the big bathroom. There are various types of hot-springs in the big bathroom and the hot-spring water is effective for the joint-ache and the muscle-ache. Please soak yourself in it, taking your time. Outside the building, there is a foot-bathing facility which you can enjoy in your Yukata. In this modern-era, this place seems from a different time. You can forget all of your day to day life in the real time! 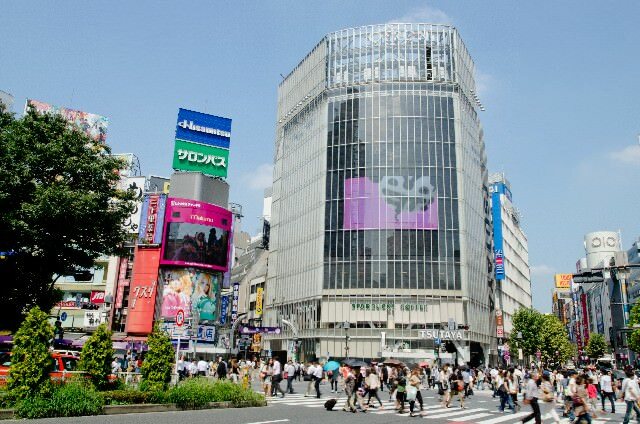 The biggest sightseeing town in Tokyo is Shibuya. The “Center Street” is the main street there. It is just amazing! Innumerable shops are lined up along the street. If you go there you can enjoy shopping, gourmet, sightseeing and many, many more attractions. Starting with the famous Seibu department-store and Loft, so many small shops are gathered along the way. I’m sure you’ll find your favorite, not only 1 but a few. In the daytime, shopping there is enjoyable, but at night the atmosphere changes. You can enjoy drinking at clubs or taverns. Enjoy all of them! This Robot Restaurant has a high popularity amongst foreign visitors. It is a newly appeared interesting spot. It has a good reputation from foreign celebrities as well. If you go there at night, without fail, you can see a long queue of sightseers. Inside the restaurant, there are 50 robots and they are performing a wonderful show with the attractive dancers. The scene is the highlight! Don’t miss it! They can respond in different languages, like English and Chinese. Even if you are not capable in Japanese Communication, you’ll understand everything. This “Samurai Museum” is as popular as the “Robot Restaurant” in Shinjuku. Surprise! Here, you can experience Bushi(Samurai). When you put Yoroi (an armor) and Kabuto (a helmet) on and grab the sword, you are a great Samurai! You can even try on the armors of Nobnaga Oda, Hideyoshi Toyotomi and Ieyasu Tokugawa who were all great Bushi (Samurai) in the Age of Civil Wars. Strike a pose for the photo taking in the costume. The sword fight show is regularly held, so you can see Japanese Bushis’ skilful technique to use swords very closely in front of you. You may be taken a back with their powerful performance. There are a lot of miniature swords and beautiful fans which represent one of the Japanese cultures. You can fully enjoy looking for your souvenirs. Edo is the ancient name of Tokyo. What kind of history was there? How the culture changed? Are you interested in it? Or are you excited to know it? This “Edo Tokyo Meseum” will tell you about the culture and the history from the Edo-era to the modern-era. The exhibition is divided into the Edo-zone and the Tokyo-zone. You can trace the change of each culture in each zone. There is a place where you can physically experience the life style of people in the Edo-era and the early Showa-era (1926-). The actual sized houses where they lived are exhibited, so you can come into contact with the history of Edo and Tokyo. The highlight is “Diorama” which reconstructs the street of the Edo and the Meiji-era (1868-1912). The completion is just a great art! Not only the houses but also the detailed description of inside the houses and the people who lived in them are accurately reproduced. What excellent craftsmanship it is! You may regret it if you miss visiting there! Let’s enjoy Tokyo to the full! 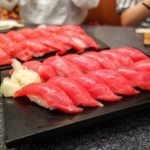 What is your impression after reading about those popular places? On the limited space of paper, Tokyo is just too big to introduce everything of interest. There are more places for gourmet, history, art, animation and shopping. Please walk around in Tokyo and find your favourite spot!